Los Amiguitos was created in 2012. It is a multiage licensed school (pre-K 3 through 2nd grade) that provides immersion in Spanish and in French as well as educational, physical, environmental and socio-emotional development, with an emphasis on nature and community. 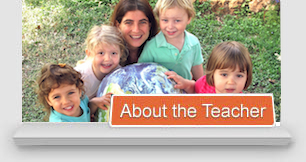 Los Amiguitos is an immersion, not a bilingual or dual language school: all instruction is done in Spanish or French. Children with all levels of language benefit from this program equally. A small school setting is a perfect stepping point between home and a regular school. With a low teacher/student ratio and a maximum of 25 children in two separate buildings, it insures quality education, greater individual attention, in a nurturing environment. Children are by nature curious and eager to learn and experience. Los Amiguitos strives to offer them with an alternative education that meets their needs and enhances that love of learning and discovering. Activities are relevant, creative, meaningful and engaging to the children. They range from creative arts, nature exploration, music, drama, movement, children led activities, dancing, cooking, to storytelling, gardening, to individual and group projects, hands on and multi-sensory activities, among others. We spend most of our day outdoors, learning to appreciate and care for nature. We integrate many natural elements in our activities; as well as use Montessori materials to enhance children’s active learning. All activities are designed to engage children’s curiosity, interaction, and multiple levels of development. 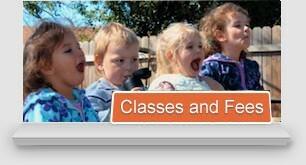 Children served: ages 3 through 7 for the morning programs; and up to 10 years old for afternoon classes. Location: E. MLK blvd, near the intersection with Airport blvd., not far from Mueller. We have 5 day programs, 3 day programs, as well as after care.